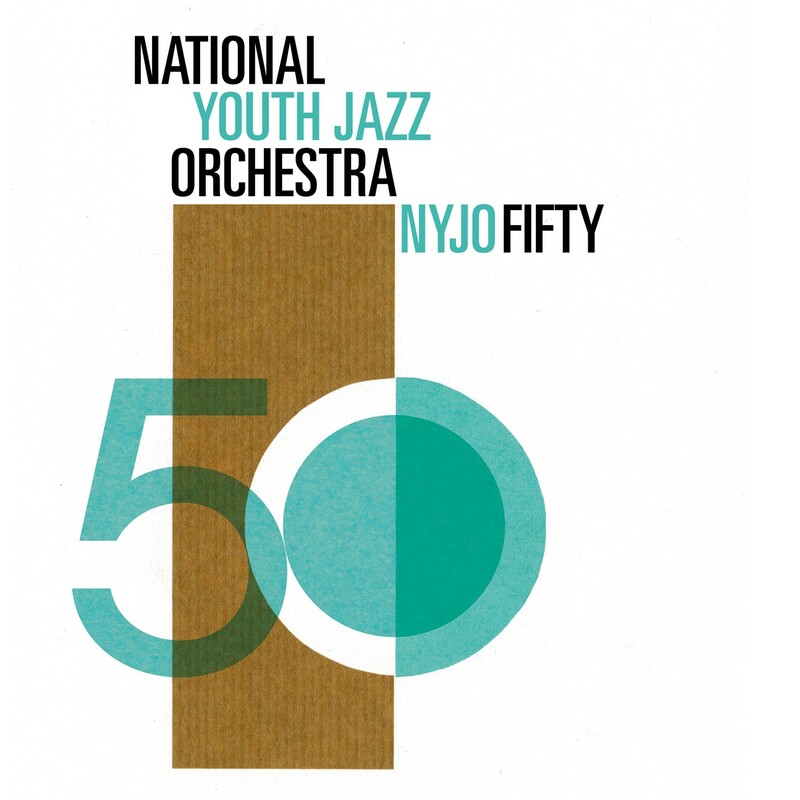 British jazz youth has turned 50! The band that has become a national institution over the last half century is celebrating with a new double CD, NYJO FIFTY, featuring not only the 30-strong current line-up but also two alumni – Mark Nightingale and Gareth Lockrane – as well as guests Julian Siegel and Zoe Rahman. Peter Bacon spoke to the orchestra’s director. LondonJazz News: This new double CD celebrating 50 years of NYJO feels like a further step-up from the already high standard set by the band. To what do you attribute this? Mark Armstrong: Commissioning music from established composers has broadened the artistic remit of the band and, increasingly, young writers from within NYJO write very well constructed music in varied styles. At the same time, we have been addressing the core elements of swing in the more traditional music and I think the way the band swings has really matured recently. LJN: I am sure there are always the exceptionally talented young players who will come through no matter what, but has the waxing or waning dedication to teaching music in schools had any noticeable effect over the years? MA: From our education events around the country, predominantly with state-sector music hubs, it is clear that the UK still has a robust structure of music education that can allow gifted and talented young musicians to flourish. That said, it is noticeable that a significant number of musicians at music colleges now get the initial support they need to develop their talent in the private school sector, and this can affect the level of diversity amongst the musicians. However, it seems to me that there is now a much higher standard of jazz education around the country and players are emerging as fluent improvisors at much younger ages. LJN: In recent years, the band has increased the breadth of styles in jazz that it has tackled. How do you manage to provide such a range of music, and are you able to accommodate all the musicians’ tastes? MA: The breadth of style is a natural consequence of the wide ranging interests amongst our players. Personally, I just go for anything that excites and moves me, from whichever source this might be. I think it is important for our players to accommodate each other’s tastes in a concert and I think we have a duty to both entertain an audience and hopefully also win them round to music that they might be unfamiliar with. LJN: Learning music in a big band situation doesn’t just teach these young people the obvious things, but also life skills. What do you think these are? MA: Learning to be a team player is really important – in a big band. you can’t expect to have a solo in every tune. The ‘art of the hang’ is also vital for musicians; given the amount of travelling we do, being good company as well as a great player is important. Understanding the etiquette of professional conduct is a skill in itself which many young musicians struggle with and we insist on a professional attitude to these things. Also being aware of the effect of your stage presence, energy and attitude during a performance, which for most audiences is much more noticeable than the harmonic details that tend to obsess young jazz musicians, is a really important skill. LJN: What are your ambitions for NYJO in the next 10 years? And the next 50? MA: I’d like to see the band touring much more internationally, as well as continuing our UK engagements. We should become increasingly flexible and able to offer different-sized ensembles to promote different styles and programmes, including small group performances if these are requested by venues. I hope we can build an audience and patrons for jazz, as well as the next generation of players through our education work; and if we could spread our NYJO Academy activities more widely around the country, this would also help recruit players and listeners.